they are my cheap labor! 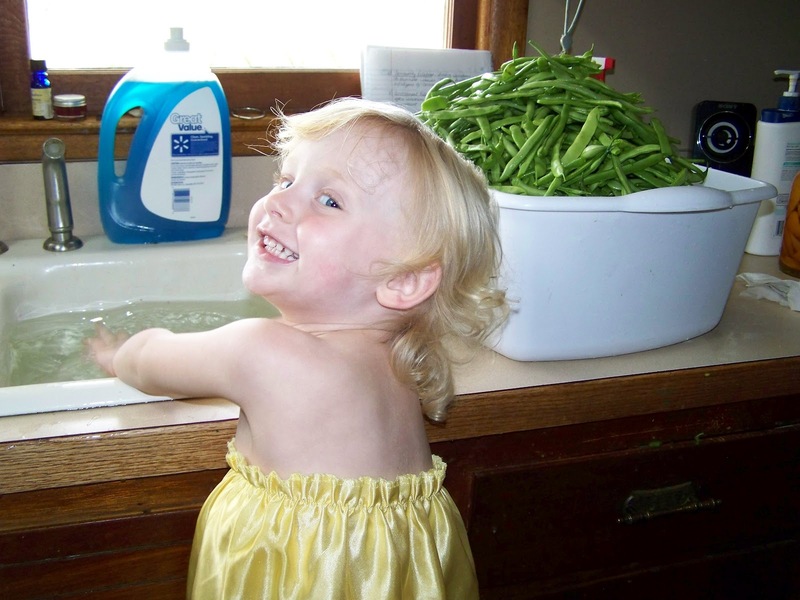 wash in a mild soapy solution. and fill with cold water. Then I fill up the right side to use as a final rinse. 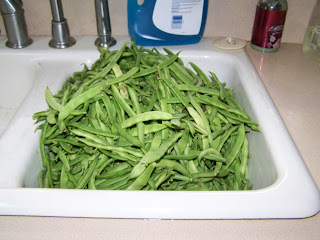 the beans ready to blanch. strings and any bug bites or damaged spots. 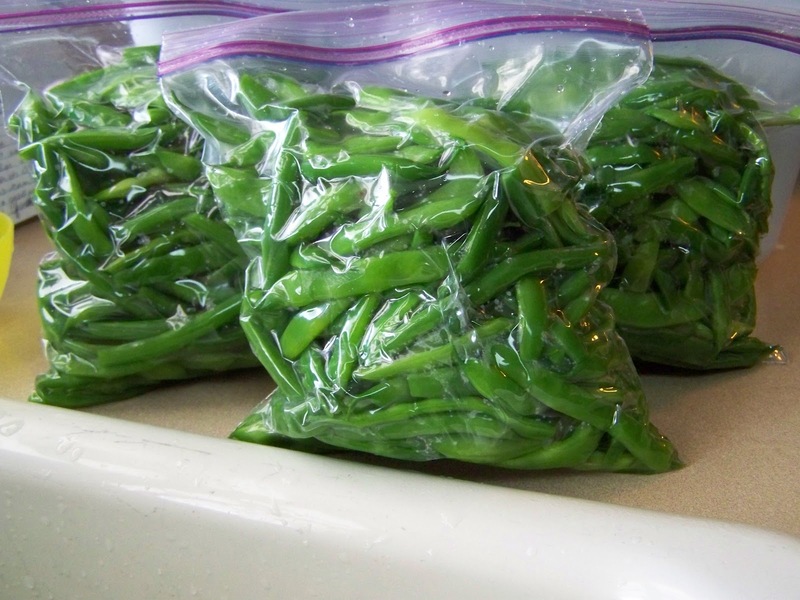 water and put in your "ready to blanch" container. 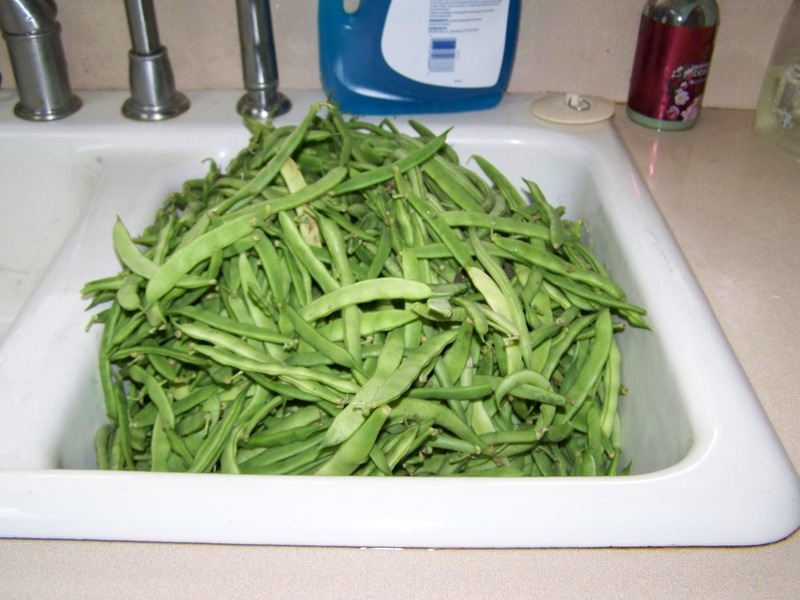 referred to as "blanching". It kills the enzymes that cause decay. 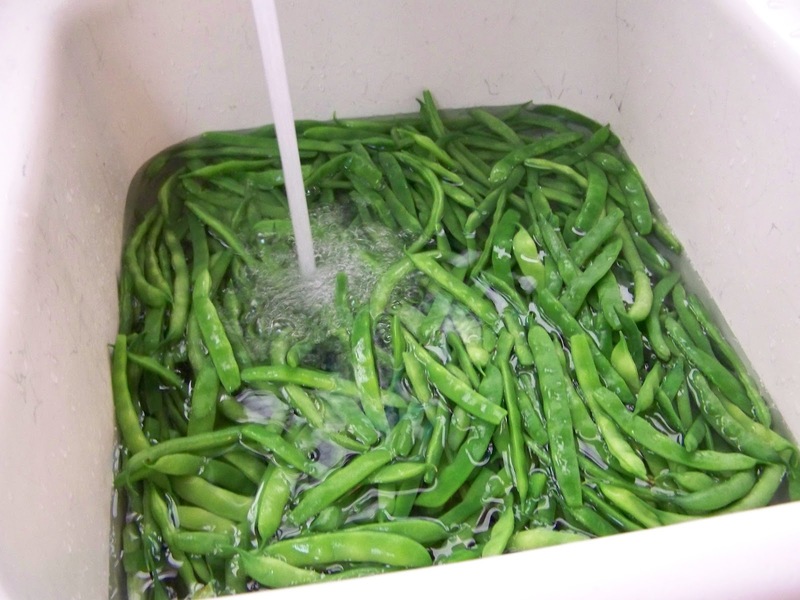 The blanching process actually preserves vitamin content. 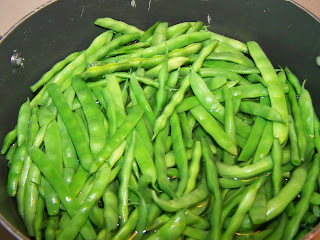 have cooked green beans and lose valuable nutrition. cooking process. If necessary, you can use ice as well. storage containers, remove air if possible and freeze! 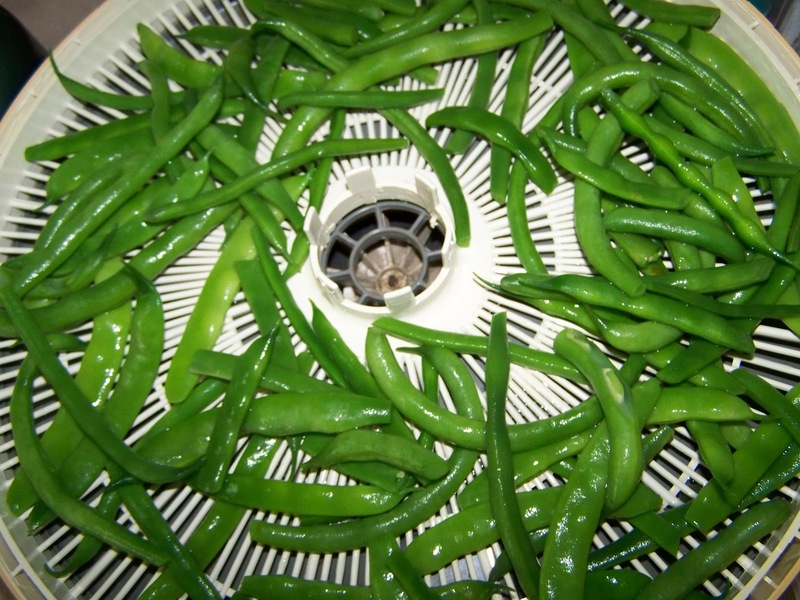 is the Nesco Snackmaster Pro Food Dehydrator FD-75A. It's not too expensive and it does the job well. stews as they absorb the flavors of the broth. 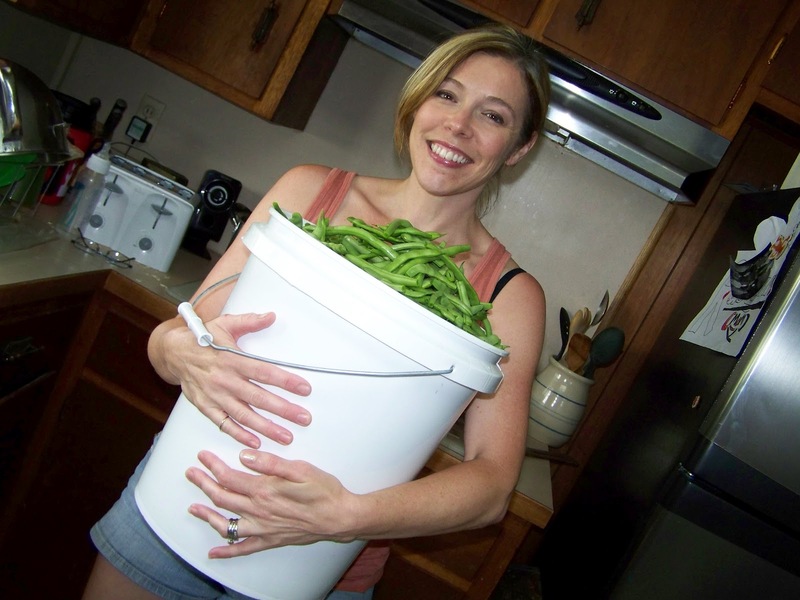 to keep your dehydrated beans. Very nice post. I wish I was going to have that many beans this year. Thank you Becky! We've been really fortunate so far this season and I'm very grateful. Of course, I'm really busy with the garden and have neglected my blog! I'm trying to remember to photograph what I'm doing so I can put together tutorials to help beginners for next season! 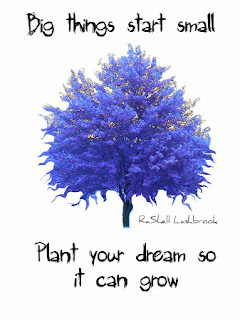 I hope the rest of your garden is going well! Have a great day! Absolutely! Just use the 5 gallon bucket full of green beans to do bicep curls, etc.! Lol! Thanks for stopping by! I like the idea of dehydrating! I dehydrate as much as I can or know how :O). 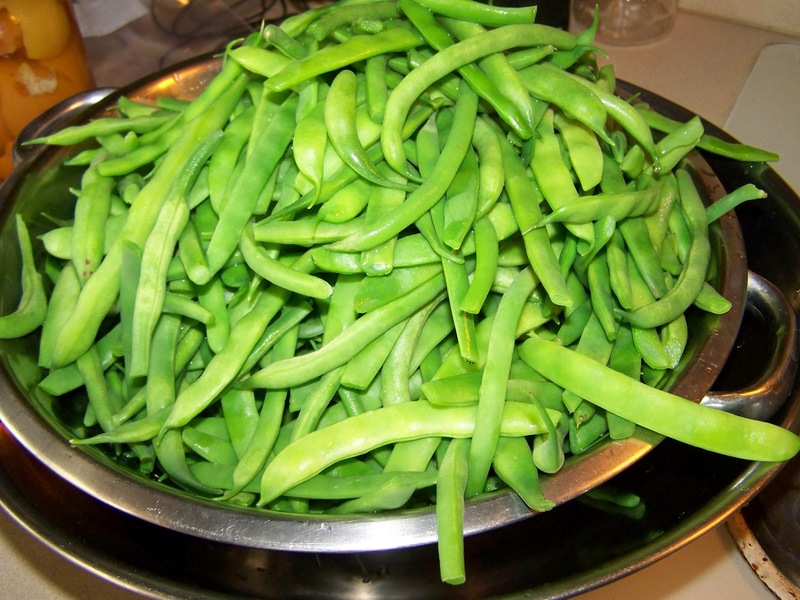 What are green beans like when you re hydrate? Hi Texan! Used as a plain ol' side dish, I wouldn't say the green beans are as good as fresh but with a little seasoning they are quite tasty! 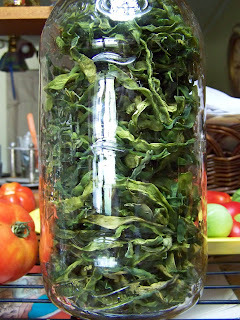 We really use the dehydrated veggies in soups and stews primarily. 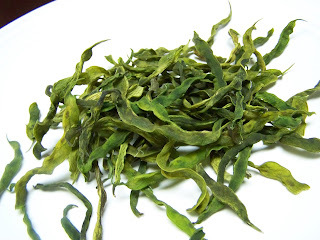 In this manner, they are fantastic as they rehydrate with all the flavors of the broth they are simmered in! Better than fresh or frozen, in my opinion! You are quite welcome, Linda! Thanks for stopping in! 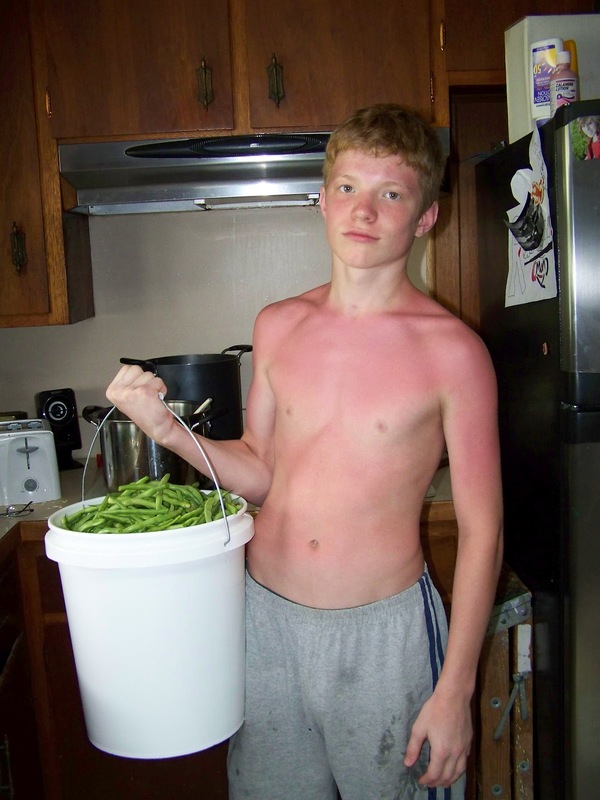 What a great bounty of beans! 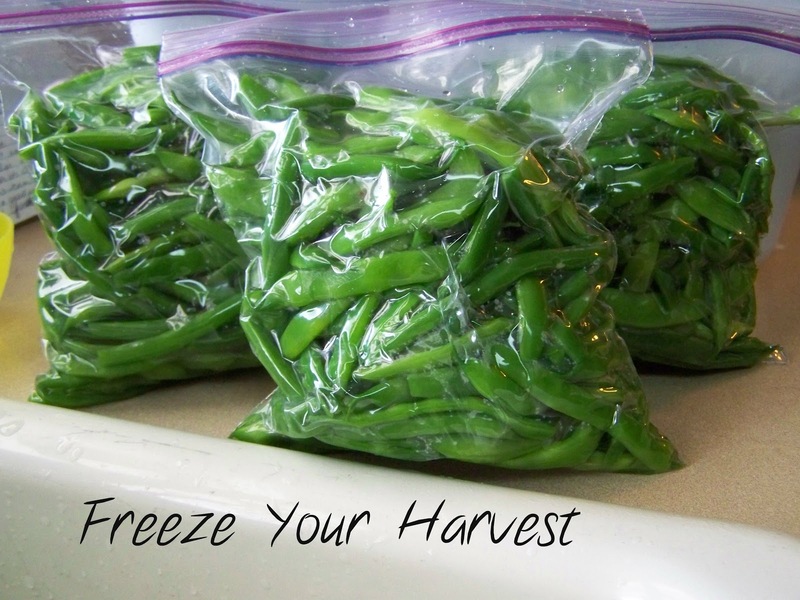 I have yet to harvest enough to can or freeze, we just eat 'em as they mature. Maybe next year. There's always next year, right? Absolutely, Carolyn Renee! There is always next year! Thanks for stopping by! How wonderful! 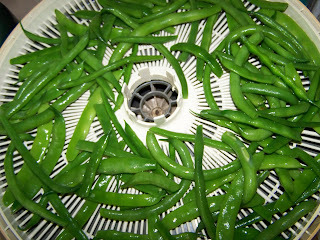 I can't believe I have thought of dehydrating whole beans before! Thanks for the spark of inspiration! My pleasure, Bee Girl! Thanks so much for stopping by!